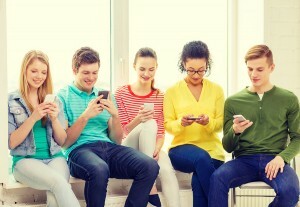 Home » Social Media Opinion » Will Tomorrow's Teens Know Facebook? Will Tomorrow's Teens Know Facebook? Will tomorrow’s teens know Facebook? I had an interesting conversation with my (nearly) 13 year old daughter in the car yesterday. Her: My kids won’t know anything about Facebook. Me (after choking at the idea of my daughter having kids): Maybe not, but why do you say that? Her: It’s going to be so old by then. It will be like MySpace is now. I mention this conversation to illustrate how fast things move. Did you know MySpace (or Myspace, or My____ … however they’re typing it nowadays) was founded in 2003? That’s one year after my daughter was born. That’s an eternity in the social media world, but it’s not much older than Facebook. Mark Zuckerberg’s baby was founded only a year after that, and was opened to the general public in 2006. The now-massive social media site has grown and changed with the times, to where it currently has nearly 1.4 billion registered users. While many people believe Facebook is now too big to just go away, it’s important to note that while most of today’s teenagers have Facebook accounts, they really don’t use the site as much as you might assume at first glance. In fact, the Washington Post announced last year that teens are officially “over” Facebook, and instead are flocking to Twitter, Instagram and Snapchat. The Post article cited a survey that said in a matter of six months, teen use of Facebook plummeted from 72-percent to 45-percent. Because their parents are there. When you’re a teenager, anywhere your parents can be found is monumentally uncool. So … what’s next? If you go on the assumption that today’s teens will be having their own children in 10-15 years, and those children will become active in social media … say … 13 years later, what on Earth will they be using? Will social media even be a thing? I’m not sure I can accurately predict what teens will be doing 20+ years down the road. I’m not sure I can comprehend what they do now. But, it might be informative to know what WE were using on our computers 20+ years ago. In the years around 1990 to 1995, the online services AOL, Prodigy and Compuserve were king, and you could easily say social media (in the form of their chat rooms) was being born. Clearly, things have changed a lot since then. Privacy will still be an issue. You simply cannot completely stop all teenagers from posting stupid things online. Cyberbullying will still be an issue. See above. To go back to the original question, however, will Facebook still be around? My guess is that it probably will be in some form or another. It simply IS too big to just go away. Maybe it will be more like Periscope and Meercat, and will be used to stream events live rather than post pictures about them after the fact. Maybe it will be a conglomerated news site where businesses and individuals post current events and comment on it, without leaving details about their personal lives like they do now. There are too many possibilities to imagine them all.